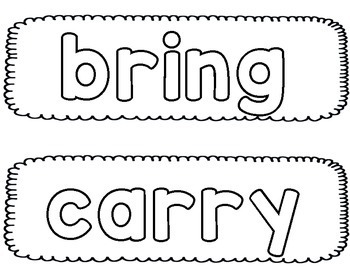 This product is a really fun way for students to practice recognizing and spelling sight words. 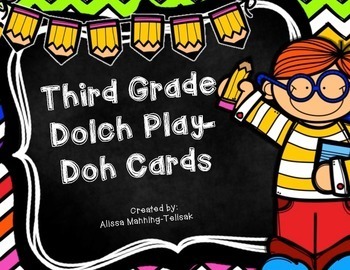 Included are the cards for 41 Dolch sight words. I printed the sheets (2 words per page) onto colored paper, laminated them and and cut them in half. Extremely low prep and so easy! 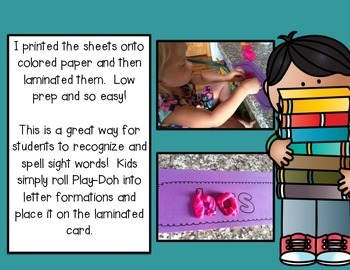 Students take the cards, roll Play-Doh into letter formations and place it on the laminated card. 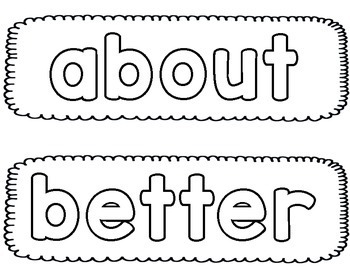 I use these cards during my Daily 5/literacy centers time for word work practice.